AAC080EB1G	This product is no longer available. 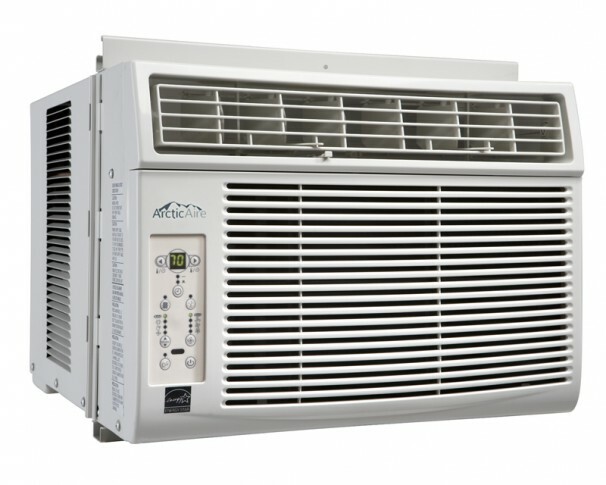 When the summer heat just gets to be too much to handle, you’ll be glad to know you can use this eye-catching ArcticeAire 8,000 BTU window air conditioner to keep yourself cool and comfortable. This unit is capable of cooling spaces of up to 350 square feet, making it quite appealing for apartments, condominiums and large rooms. 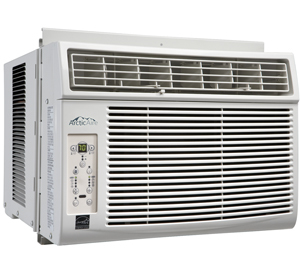 The Energy Star compliant model features four-way air direction with an impressive 10.8 energy efficiency rating to help save power. There’s also an energy-saving switch which can cycle the fan on and off when the compressor has shut down. You can easily set the temperature between 17°C and 30°C (63°F to 86°F) by programming the LED-displayed electronic controls or the handy remote control. The air conditioner also features a smart sleep mode along with an automatic on/off setting.